Valley Running Club: The Valley Distance Run? Could (and should) The Valley host a premiere distance running event of 13.1 miles or longer? As I have an interest in seeing the local running scene grow and diversify, I have often asked myself this question. A few years ago the answer would have been no. 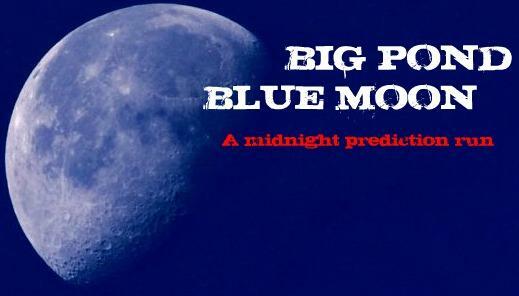 Recent developments, however, may have created a situation where it is indeed possible. Distance Running is still growing. No big shock there. Drive through The Valley at any time of day and you'll see. I guarantee it. If you go out early on a Saturday morning plan to detour around a local 5k or 10k race. More than 40 such events have been held in Bradford County (and Waverly) in the last two years. You can’t go anywhere without seeing two, three, five runners out logging miles. And that’s not including the Valley Running Club, which hosts multiple groups runs each week, and still hasn't managed to reach all of the runners in the area. Nationally the most popular and fastest growing racing distance over the last decade has been the half-marathon (1,500 events yearly with 1.85 million finishers). The ever iconic full marathon distance annually sees more than 500,000 finishers in the USA as meanwhile participation in ultra- marathons (races longer than 26.2 miles) has doubled over the last four years. The growing popularity of races of these distances regionally would seem to confirm the national trends. Stalwart events such as the Steamtown Marathon and Wineglass Marathon have sold out in record time in recent years, while new half marathons, marathons and ultras have sprung up in Wellsboro (Pine Creek Challenge 100 mile, Green Monster 25k/50k, Pa Grand Canyon Marathon), Wilkes-Barre (Wendy's Wonderful Kids Half Marathon), Binghamton NY (Binghamton Bridge Run), and nearby Watkins Glen (Catharine Valley Trail Half Marathon). 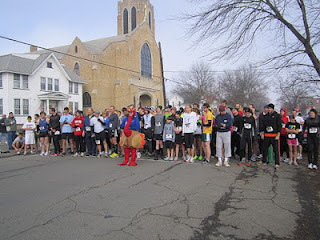 If these races are not proof enough, consider Sayre's own Turkey Trot 5k which in six short years has surged to become, by far, the most attended running event in Bradford County with over 800 participants in 2012. The 2013 race is likely to draw in excess of 1,000 runners, putting it on par with the Binghamton Bridge Run Half Marathon, which had just over 1,000 finishers in 2013. The Turkey Trot is already larger than most races of equal distance in the Southern Tier cities of Binghamton, Elmira, Ithaca and Corning, and eclipses some that are longer. Favorable geography places The Valley advantageously within driving distance of established running communities in The Finger Lakes, Triple Cities, Wyoming Valley and Central Pa. There can be no doubt that the demand is there for a top notch long distance running event in The Valley. 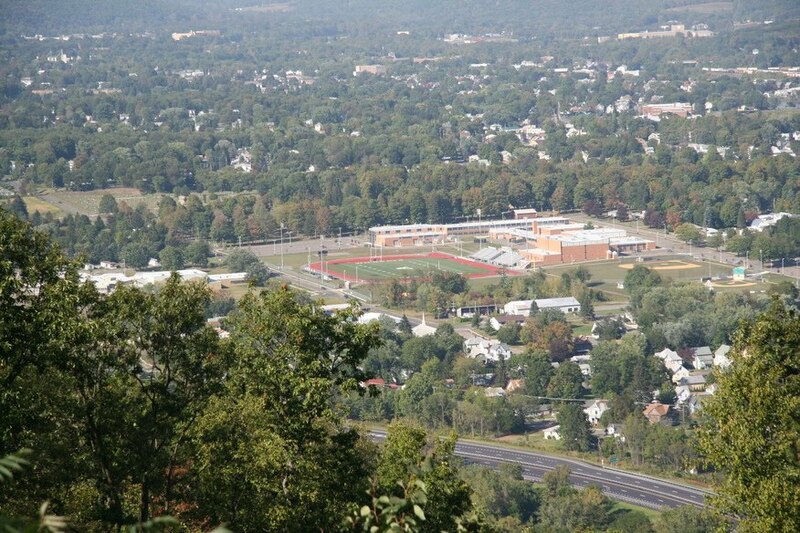 Regardless of what you believe the environmental impact the natural gas industry to be, the exploitation of the Marcellus Shale formation beneath our feet has had a positive economic impact on the area that is relevant to any attempt at bringing a large distance running event to The Valley. Any large race depends heavily on sponsors. The same hotels that would be filled with runners would also be important race partners. The official race website would direct athletes to these establishments in return for contributions. The support of important local businesses such as Robert Packer Hospital / Guthrie and Dandy Mini-Marts would also be vital, along with newcomers from the gas industry such as Chesapeake Energy. Appropriately, many similar races across the country (including in Binghamton and Wellsboro) are spearheaded by the local Chamber of Commerce (Greater Valley Chamber of Commerce), in conjunction with the local clubs. But no race is possible, nor likely to be successful, without the support of the local running community. 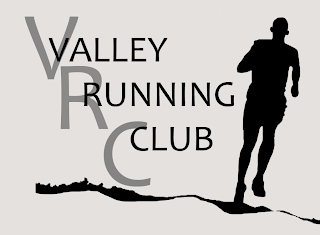 A Half-Marathon or Marathon in The Valley would need input and volunteers not only from the Valley Running Club, but also from student runners on the local track and cross country teams. The Valley is blessed with three high schools and a running club that has been growing steadily since its inception in 2010. We have demand, we have the infrastructure and we have the potential for adequate financial support and manpower. By my estimation that leaves us with the location to consider. Cramming nearly a thousand people onto S. Elmer Ave. in downtown Sayre for our largest local race (The Turkey Trot) is pushing it, but luckily there is some precedent for large events elsewhere in the Valley. Thousands flock to Riverfront Park in Sayre each July for the annual fireworks display, but perhaps a better fit would be Athens Area High School, host of Athens Artfest early each May. The athletic fields at Athens offer easy access to Route 220, ample parking, and space to erect tents for pre-race festivities such as an expo, live music, or a pasta dinner. The school is also in close proximity to the aforementioned hotels and shopping found on Elmira Street. The race course itself could cut through Sayre or Athens, cross either river bridge and head into the hills to avoid excessive road closures. Or it might tour all the local municipalities, treating runners and spectators to live music, food and sidewalk sales in downtown Sayre, Athens and Waverly, followed by a dramatic race finish that might bring athletes down one of the major thoroughfares (Elmira St.) not commonly closed for such events. The Valley is growing and it seems only fitting that the local running scene should grow with it. Valley based organizations typically host 7 to 10 public races yearly. In each of the past two years Bradford County (plus Waverly NY) has hosted a staggering 19 5k races and just two 10k races, with only two running events of a differing length (2012 Glen Challenge - 5 mile, 2012 Waverly Tinsel Trot - 1.8 mile fun run) to speak of. Our local runners regularly travel to compete in diverse, unique and challenging events of distances ranging from 1 to 200 miles, benefiting other clubs, other charities and other communities. Could we and should we hope to host a premiere distance running event, like the ones we love to attend, right here in our own community? Here are several additional 'hypothetical race' ideas (free for the taking) to plausibly diversify and enrich the local running scene. 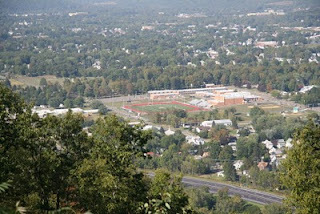 The Elmer Avenue MileA one mile jaunt along the most raced stretch of asphalt in The Valley to crown the fastest man and fastest women in the twin tiers, followed by food and live music in Howard Elmer Park. The race itself might be divided into heats (men, women). A large cash purse or unique prize would attract top talent from across the region. Post-race awards ceremony to be held in Sayre Theater in conjunction with the showing of a running film. A series of open 5k races held on local high school Cross Country courses immediately following several high school meets. 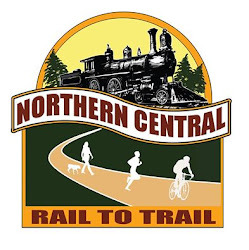 All proceeds from entry fees benefit the hosting XC/track club. Local running clubs, businesses and families would have the option to field 7 runner teams, with the top teams crowned following the final event of the season. These races would give alumni a reason to stay in touch with their alma-mater. A duo of 10k trail races showcasing two local parks in two states, Round Top Park in Athens and Waverly Glen in NY. Appropriately, these two parks are within sight of each other from certain points along their respective trails. Three progressively longer and more difficult trail races held through out the year at Round Top Park, giving local runners the chance to challenge themselves at distances beyond their comfort zone in the comfort of their own back yard. The series would begin with a 5k race, proceed to the 10k distance, and then wrap up with a gnarly 15k. Together the three events will make up a points series with awards going to the top three runners in each age and gender group. Each race would be followed by a BBQ. 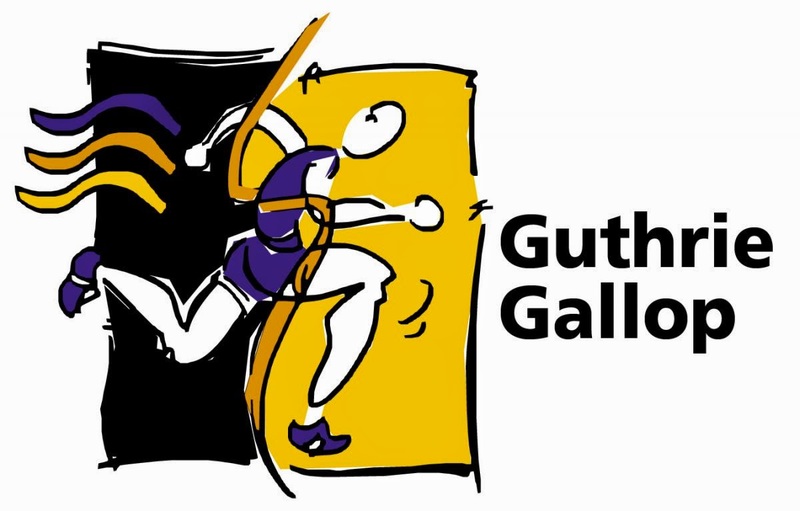 Guthrie is already involved with the best attended running events in the area (Guthrie Gallop 5k/10k, Turkey Trot 10k), so why not an entire multi-race, scored series expanded to include events in other twin tiers towns where the company has a presence? Each race might also include a free "health fair" with helpful sports medicine information. No one else is in a better position locally to champion the active, healthy running lifestyle.